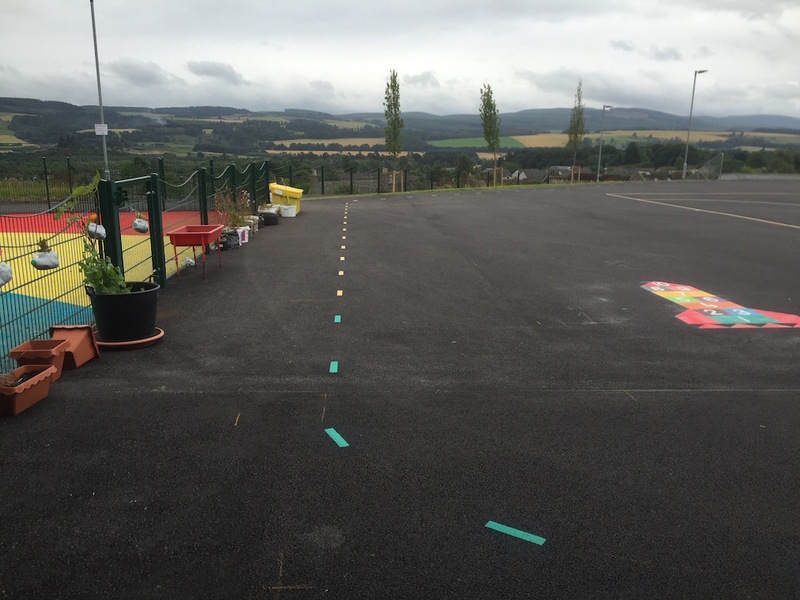 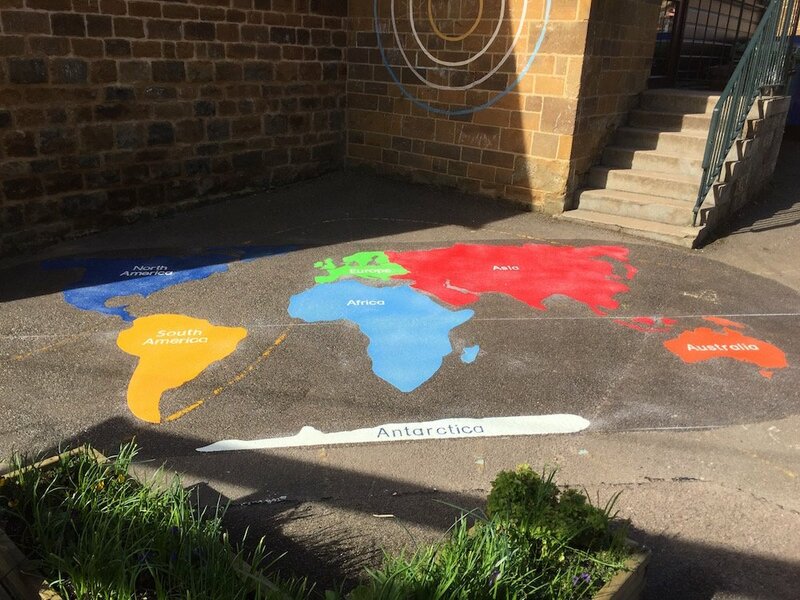 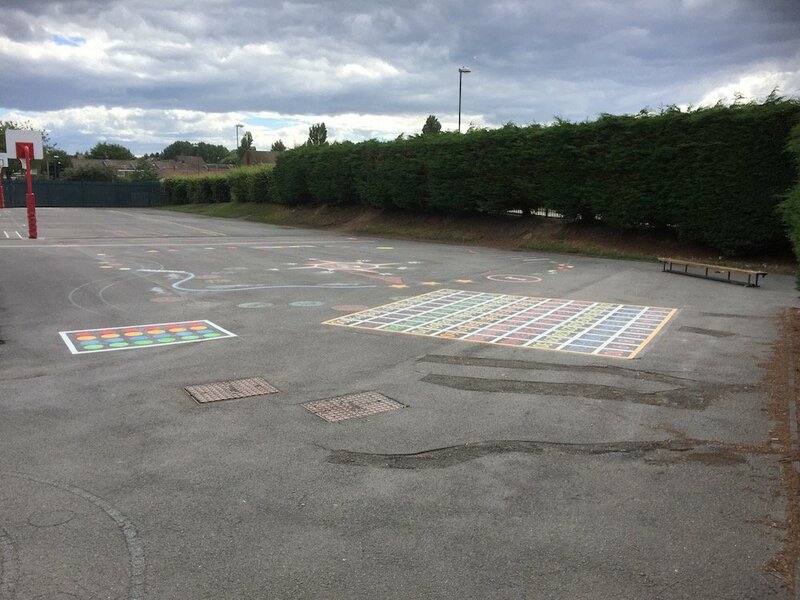 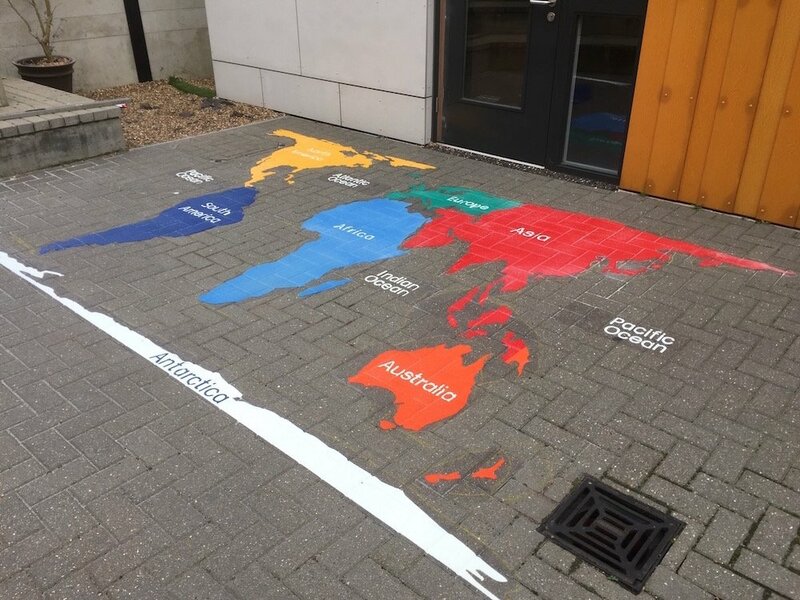 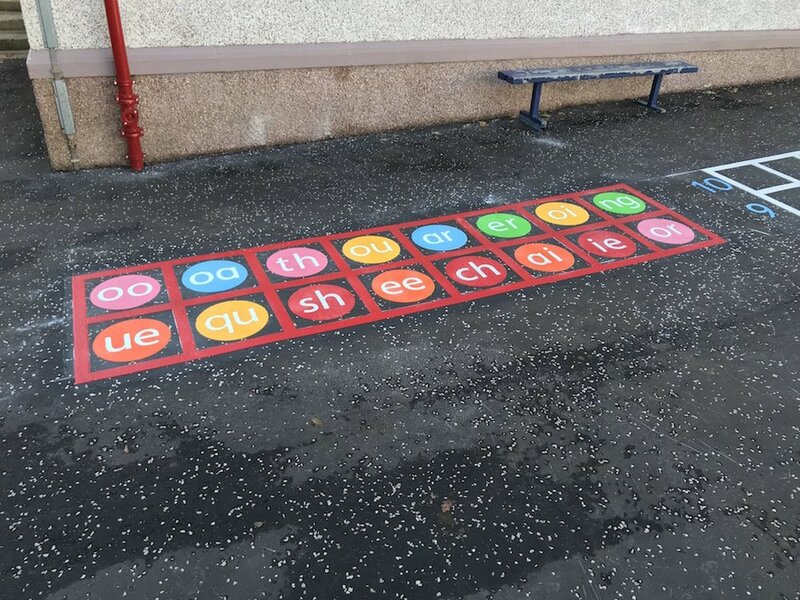 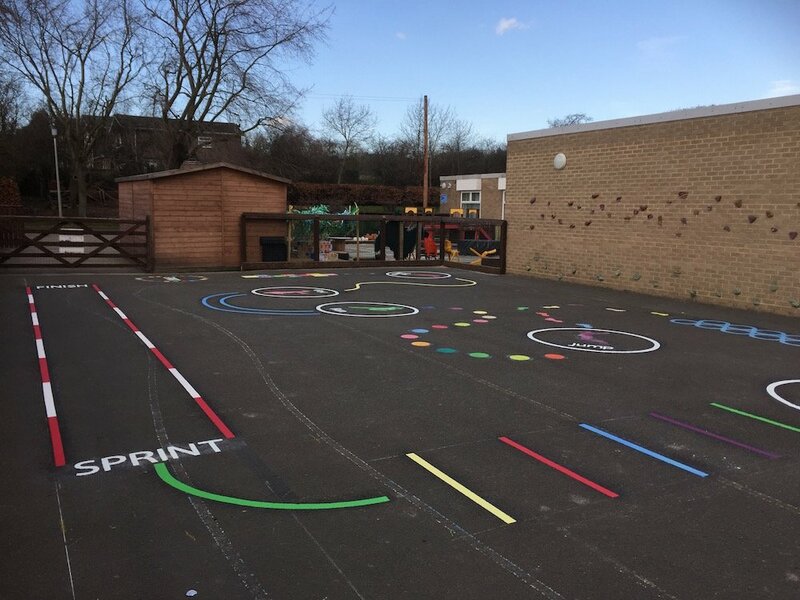 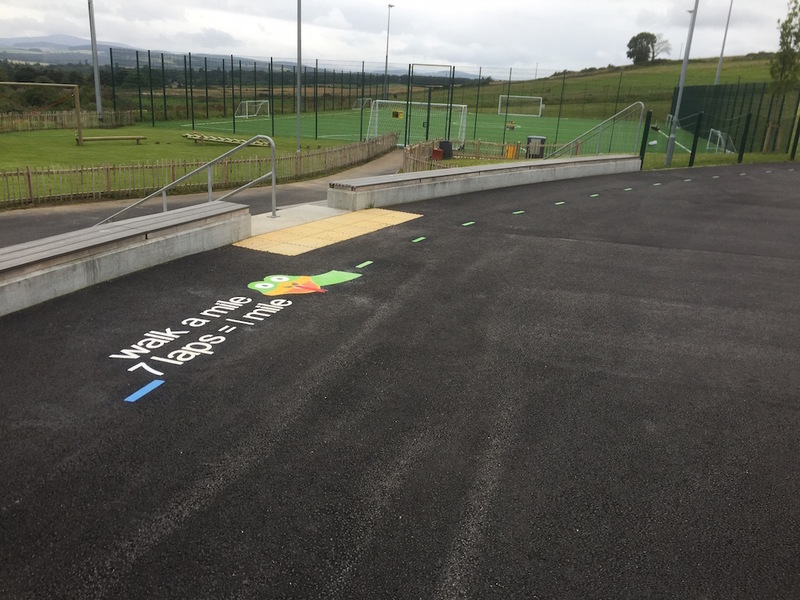 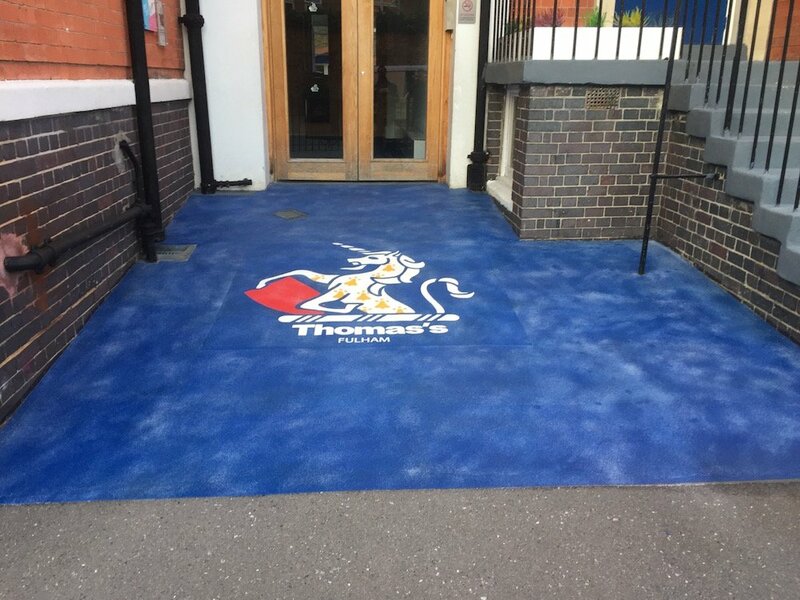 first4playgrounds recently installed various playground markings in Drumoak Primary school in Scotland. 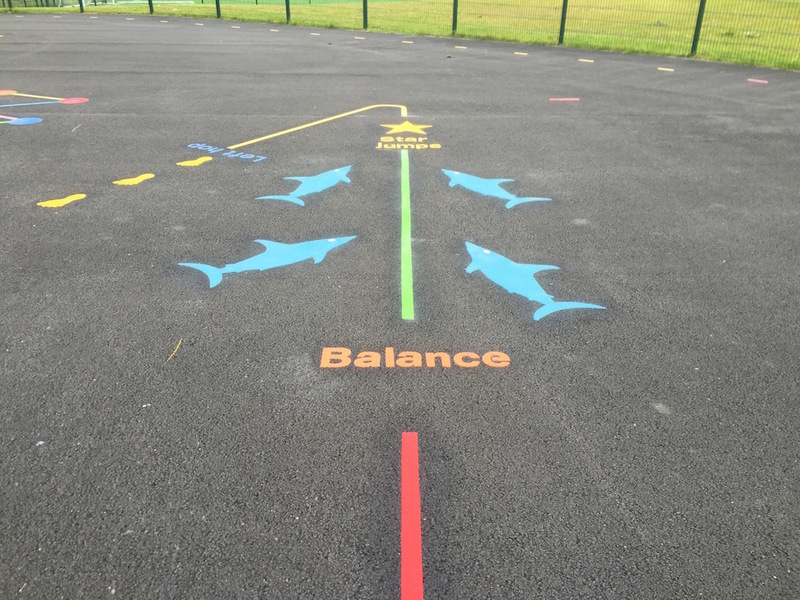 Balance on the line and avoid the sharks! 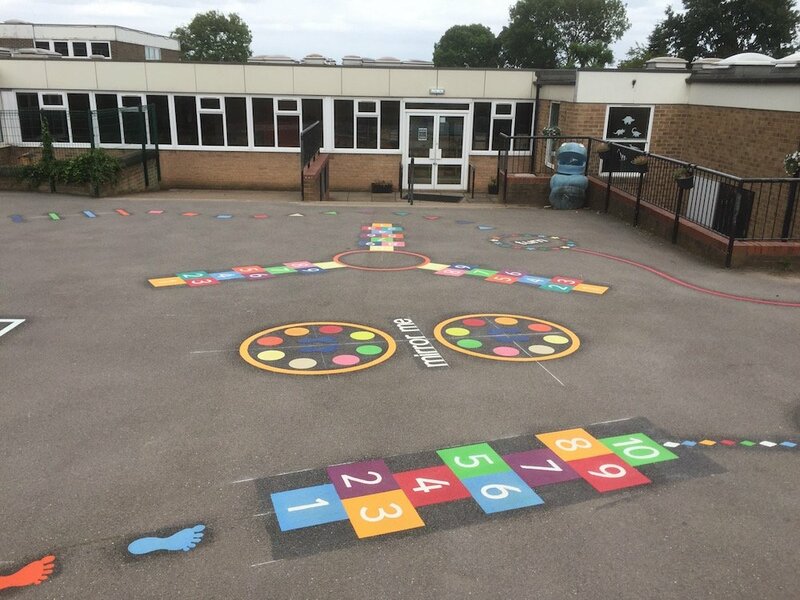 Walk a mile is a trail around the yard, the amount of laps needed adds up to exactly a mile. 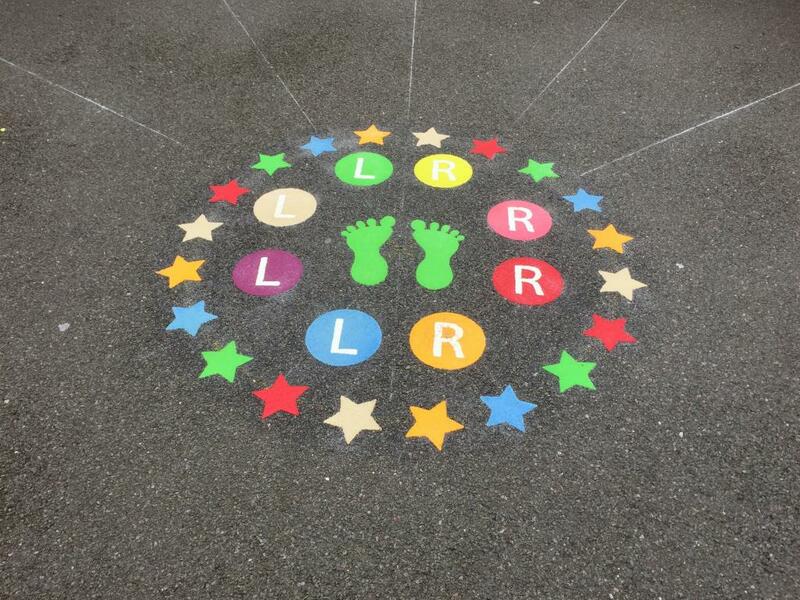 This is a great way to keep children fit and healthy. 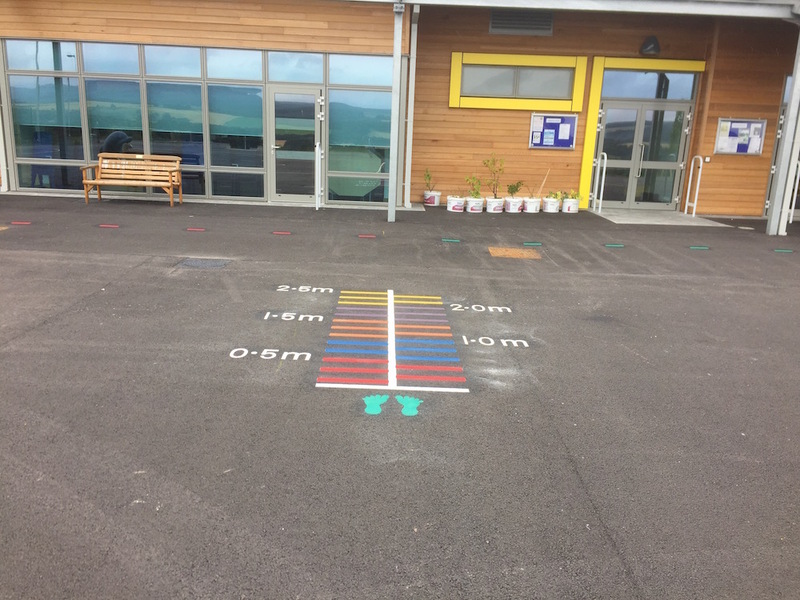 The standing long jump is an excellent and colourful way for the children to experiment potentially unseen skills.